The Big Labor Day Event is Going On Now! Buy any 3 items at the everyday Noël discount price & your 4th item is FREE! Visit the Noël Furniture Clearance Center as well for luxurious savings during this huge event. 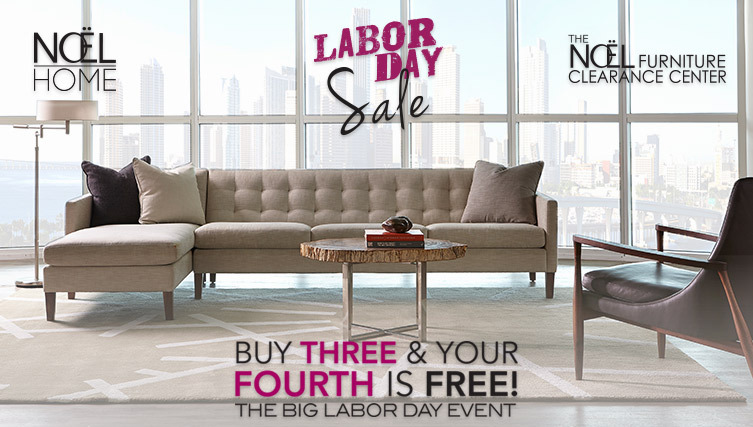 Now through Labor Day don’t miss out with huge savings on the finest brands in fine furniture.